Not everyone likes sauce (sad to say…), but EVERYONE loves free stuff, especially free HOT DOG stuff! 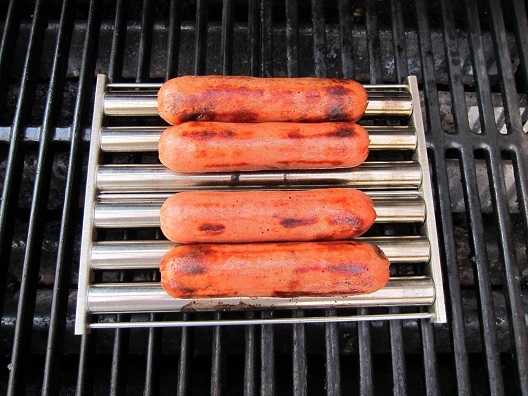 We’re giving away 3 of these handy dandy hot dog roller cookers that make it easy to grill a perfect hot dog! Don’t believe me? Check out Jay Prince’s review of these modern metal meat spinners. Comment on this blog answering the question: what are your favorite hot dog toppings? Contest Ends Sunday May 13th at 10PM EST. Here’s a preview: Yumm! Time to get rolling. My favorite toppings on my dogs are dill pickle spear, mustard, cole slaw, and baked beans. Sounds like a gross mess, but it’s REALLY good! I like a 5 way hot-dog! Chili, Onion, lots of Cheddar, and Jalapeno’s. The heart-attack on a plate! My favorite hot dog dressings are simply mustard, relish,and onion. Too many toppings take away from the great taste of the hot dog! Not one but three all beef dogs with spicy mustard, fresh onions,and sweet relish. my favorite topping is good old fashion mustard and ketchup!!!! mustard, and lots of it! 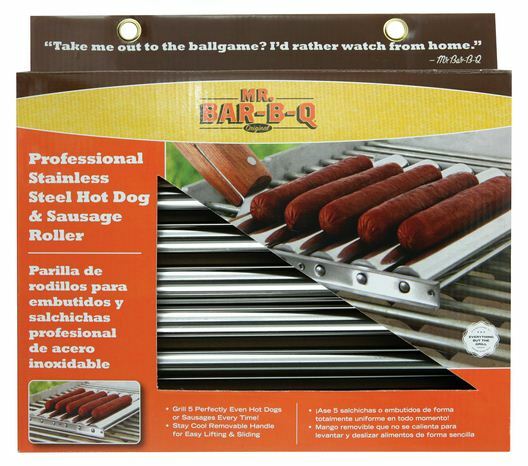 Send email to brian@bbqsaucereviews.com with your mailing address to get your free hot dog grill rollers!